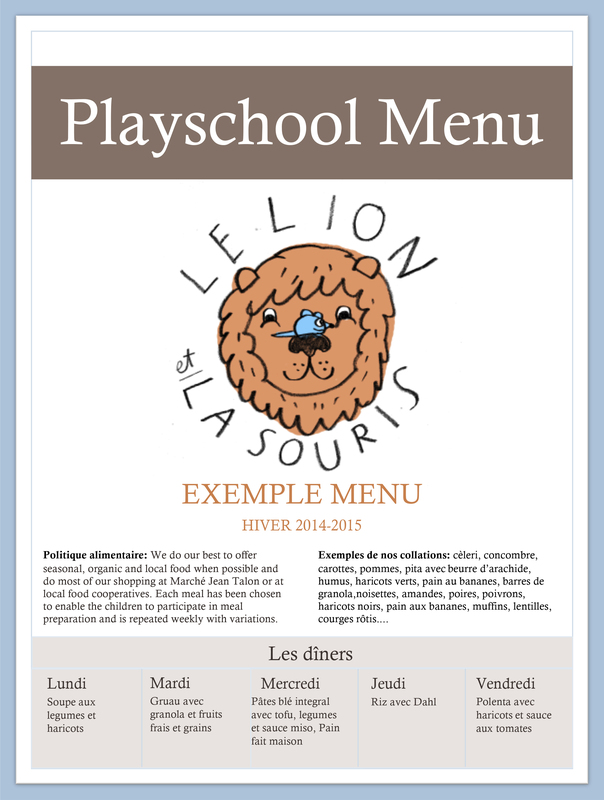 Sample Menu Plan – Nature. Play. Communauté. We aim to offer a divers choice of food and use local, organic, and whole foods as much as possible. Produce is purchased at Marché Jean Talon and most bulk foods are purchased through local food co-operatives. We are more than happy to accommodate dietary requests and offer gluten-free and dairy-free options.